In June of 2018 we are headed to the Faroe Islands and the Westfjords of Iceland to experience one of the most stunning parts of world. This 10 day, once in a lifetime experience, is focused on capturing the landscape as well as the flora and fauna of the sparsely populated Westfjords, which is less than 1 person per square mile. Additionally we are spending 3 days in the Faroe Islands, exploring wildlife, stunning vistas, and the unique culture of this isolated community. When we set out to create this trip, we had in mind an experience that would span the wildest portions of Iceland and to emphasize the stark beauty of the Faroe Islands. We didn't want a good or great trip -we wanted an epic adventure! We arrive early at the Keflavik Airport and begin our journey to the Westfjords. Today we have a 6 hour drive through rugged country with stops at stunning waterfalls and vistas. 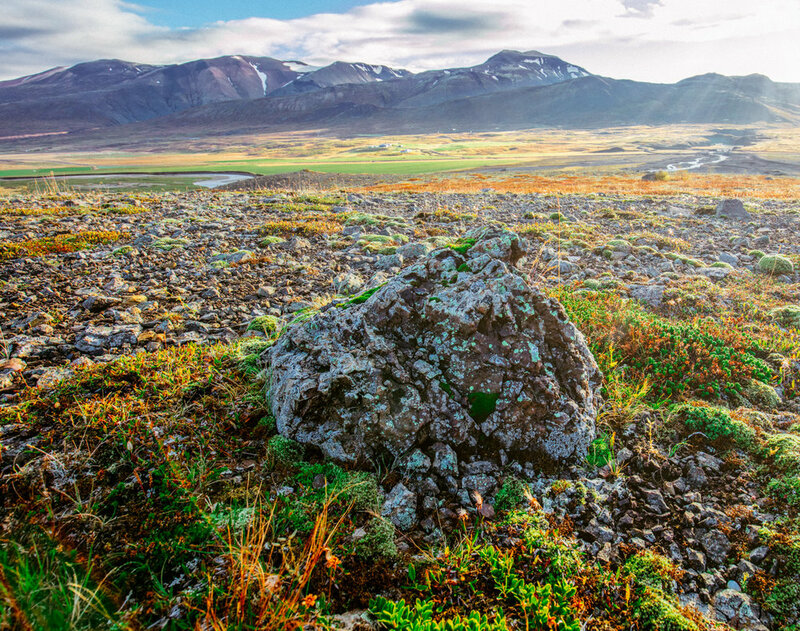 As we travel we discover that Iceland is a pristine wilderness with few people and many sheep! Our overnight is at Isafjordur, the largest city in the Westfjords, with less than 3000 people living there. In the evening we can walk the streets along the shoreline and photograph the endless light. During this time of year there is no darkness in Iceland, and the light gently caresses the landscape throughout the evening hours. Today we embark on our huge adventure by boat, as we look for whales, puffins, and seals in Ísafjarðardjúp Bay. After a light lunch we have the option to enjoy the largest geothermal pool in Iceland and explore the fjords and many architectural highlights as we journey through the sparsely populated Westfjord region. In the evening critique and review of your images is an option. 3 hour drive south and west. The Látrabjarg cliffs and red sand beaches of this region are a photographers dream. These cliffs some of the highest in all of Europe at 441 meters, and are a haven for puffins and other nesting birds. Today we spend time finding the best light and angles on this amazing scenery in the most western portion of the country. In the evening we take the ferry from Brjánslækur to Stykkishólmur and overnight in Stykkishólmur, a town on the Snaefellsnes Peninsula. One of the best places in Iceland is our playground today. 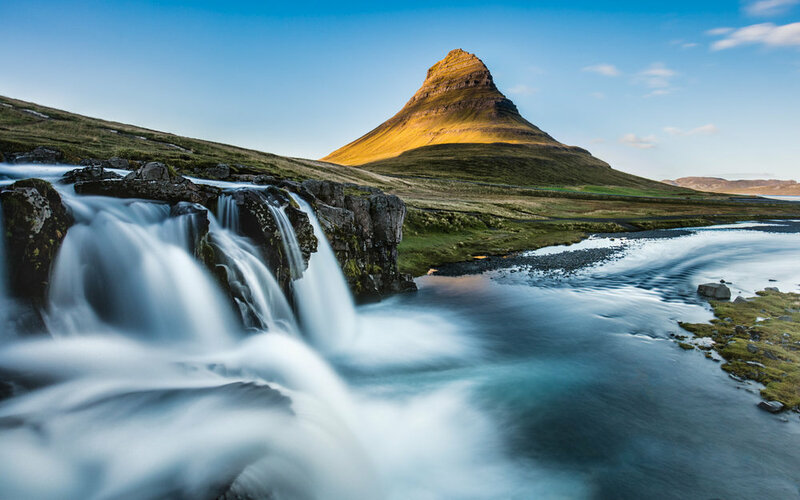 The Snæfellsnes peninsula offers the best of Iceland compressed into a single day-Kirkjufell mountain, Hellnar, Snaefellsjokull National Park, Djúpalónssandur & Dritvík beaches, as well as a host of spots to pull off the road and photograph otherworldly vistas. We arrive back in Reykjavik for overnight before our flight to the Faroe Islands in the morning. We will have time to review and critique your images this evening. Our flight to the Faroe Islands is in the morning, so we spend the early part of the day preparing for our flight from the domestic Reykjavik airport to Vagar airport. When we arrive our driver will meet us and take us to our hotel in Torshavn, the largest city in the Faroe's. The name literally means Thor's Harbor! The rest of the day is free to settle and explore the capital city of the Faroe Islands. An optional guided walk for those interested in learning more about the culture and history of this fascinating country within the Kingdom of Denmark. The island of Mykines is our destination for the day. Mykines is the westernmost island in the Faroe's and is home to just 10 residents. The island is the most popular bird watcher destination and we should have ample opportunity to hike the cliffs and photograph the rugged landscapes and wildlife. We return in the evening on the ferry for a well deserved rest at our hotel in Torshavn. We take a drive through the countryside to visit some of the northernmost towns in the Faroe Islands, such as Saksun and Eiði. These towns are homes to just a few permanent residents yet provide a glimpse into the culture and history of this fascinating country. Our last destination today is the town of Velbastður a town in the southwest corner of the main island that was briefly deserted after the Black Death decimated the population back in 1349. Today it is home to nearly 200 people mostly due to its proximity to the capital. The cliffs of Vestmanna as well as the famous Mulafossur waterfall are the destination for our day. Additionally, the town of Gasadalur, which sits nestled among the towering mountains will provide us a base of exploration. It is another town where just a few residents make their homes. We fly back from the Faroe Islands to the capital city of Reykjavik today. If your flight leaves in the afternoon you will be transported to Keflavik Aiport for you departure or you can choose to add 1 night in Reykjavik and transport to Keflavik (June 23) for an additional fee. This option can be added during the registration process. Experience level: all levels welcome! Lunch/Dinner's or additional drinks, snacks, etc. Additional night in Reykjavik (June 22) and transport to airport (June 23) -$275. Best for afternoon or evening flights.